This holiday house on two levels enjoys a lovely location in the hills. On the ground floor you will find two bedrooms which each an en suite bathroom. This holiday house on two levels enjoys a lovely location in the hills. On the ground floor you will find two bedrooms which each an en suite bathroom. The first floor consists of a living room with an open kitchen and of a separate toilet. Uphere you also have access to the large terrace offering a great panoramic view to the sea. The third bedroom is an annex with a kitchenette and its own bathroom.Finikounda is located in a beautiful sheltered bay built almost at the point where the waves lap at the shore. The seafront is lined with tavernas serving their feshly caught fish. Finikounda is famous for the excellent sea, and the village has a golden sandy beach with crystal clear waters ideal for swimming. To the east you have the Paradise Beach. Anemomilos Beach west of Finikounda is a great beach with a broad stretch of golden sand and wild dunes. But there are many other excellent beaches nearby waiting to be explored. Every year the Finikounda beaches are awarded with the European Blue flag according to its pure clean water. This beautiful modern villa is made from brick or stone and was recently built in 2011. The agent has rated it as a four star property so it is a well-equipped villa with above average furnishings. It is also great value for money. 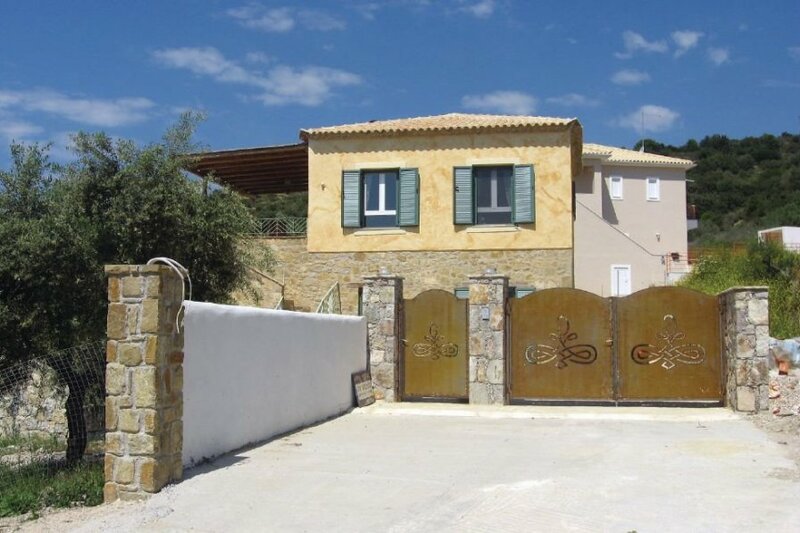 This villa has beautiful panoramic view over water and is located in Peloponnese, 20km from Pylos. The nearest airport is 50km away. It is set in a convenient location, 1.6km away from a sandy beach. There's also a restaurant 2.9km away. The villa has free cable internet. You can also park on-site at no extra charge. The villa is well equipped: it has a refrigerator, washing machine and dishwasher. It also has a barbecue, a garden and some garden furniture outside.